With their 0-0 draw on Saturday, Crystal Palace have taken a point off Manchester United in the Premier League at Old Trafford for the first time ever. Their record now? LLLLLLLLLLLLLLLLLLD. Dodi Lukebakio of Fortuna Dusseldorf became the first player, ever, to score a hat trick against Manuel Neuer in the Bundesliga. Fortuna held Bayern to a 3-3 draw at the Allianz Arena to pile more pressure on the beleaguered Niko Kovac. Unai Emery's working his magic at Arsenal. 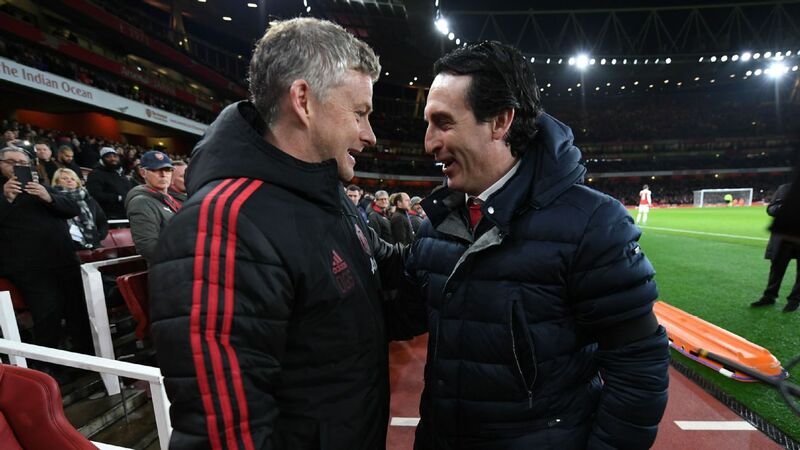 The Gunners have won as many away games in the Premier League this season (4/6) as they managed in the entirety of last season's campaign (4/19). They fought hard to beat Bournemouth 2-1 on Sunday. Also 4 - There have been four players involved in at least 30 goals in the top 5 leagues in 2018: Luis Suárez - 39 (24 goals & 15 assists), Lionel Messi - 39 (28 goals & 11 assists), Cristiano Ronaldo - 38 (30 goals & 8 assists), and... Memphis Depay - 30 (16 goals & 14 assists). Depay's assist for Jason Denayer (a corner) helped Lyon beat St. Etienne 1-0 on Saturday. 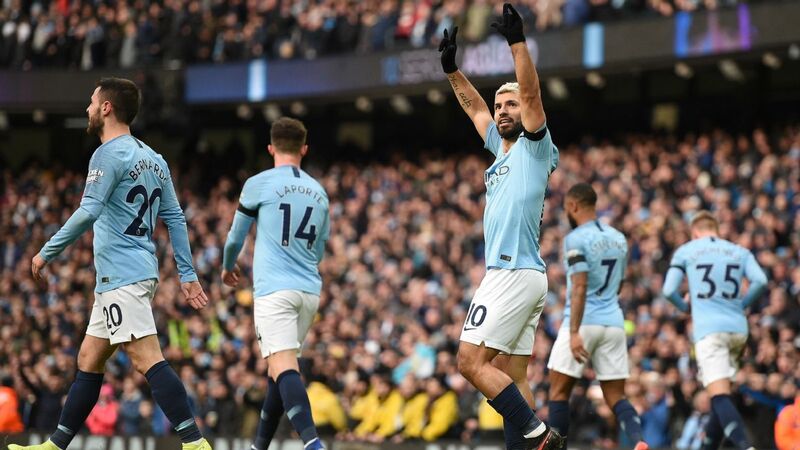 After their 4-0 hammering of West Ham on Saturday, Manchester City have become the second non-London team in English top-flight history to win six consecutive games in the capital -- after Portsmouth in 1950-1951. For all the talk of his character and attitude, Ousmane Dembélé has had a quietly decent start to the season. 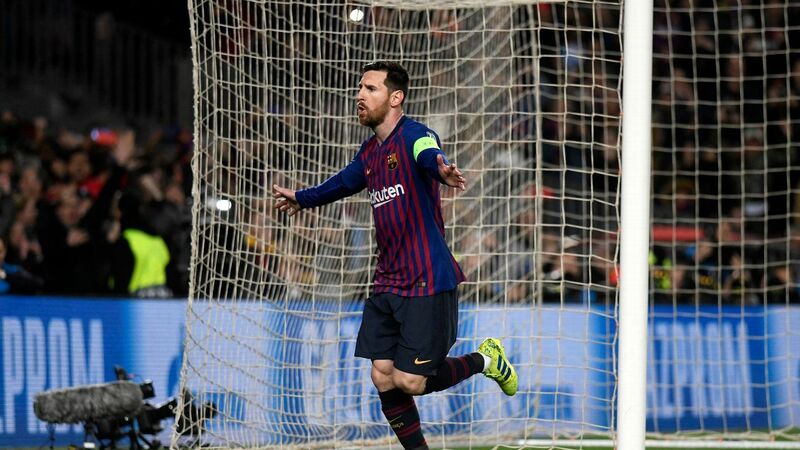 In fact, no other player has won more points with his goals than the Frenchman in La Liga this season. He's got them seven points with five goals - including a point at Atletico Madrid with his late, late equalizer. Also 7 - its negativity emblematic of the difference in atmosphere at the two great rivals -- Karim Benzema was caught offside seven times against Eibar, his highest in a single La Liga game for Real Madrid. Los Blancos were taken apart 3-0 by the tiny Basque outfit on Saturday. Paco Alcácer is on fire. He's scored with each of his nine shots on target in the Bundesliga this season. Dortmund beat Mainz 2-1 to maintain their 4 point advantage at the top. Cristiano Ronaldo breaks records for fun. 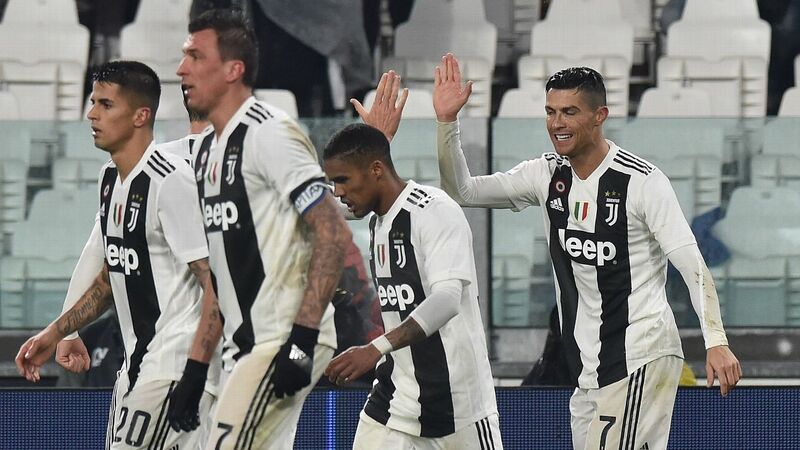 He became the fastest player in Juventus' history to reach 10 goals in all competitions (after 16 appearances) when he opened the scoring against SPAL on Saturday. Juve won 2-0, extending their lead at the top to 8 points. Also 10 - Palmeiras became the first team to win 10 Campeonato Brasileiro Série A titles. They beat Vasco da Gama 1-0 to seal the title with one round of games left. 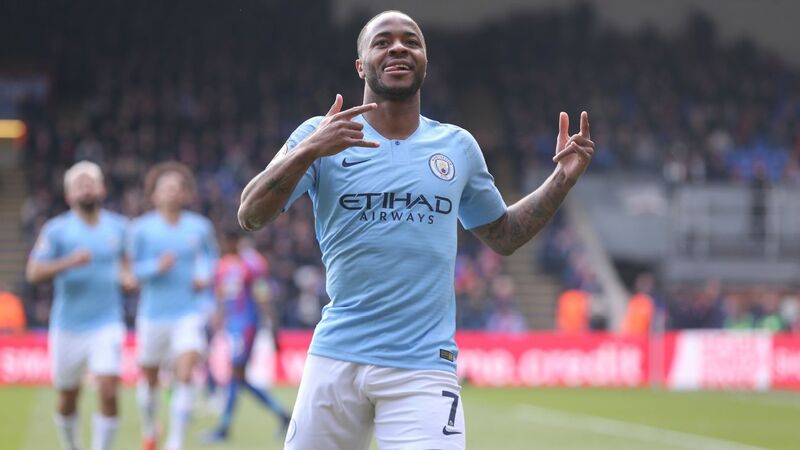 Only two players have scored 15+ goals and provided 15+ Premier League assists since the start of last season: Raheem Sterling (25 & 17) Leroy Sané (15 & 19). Olivier Giroud is only the second player in Premier League history to score 20 goals as a substitute (Jermain Defoe was the first, he's got 24). 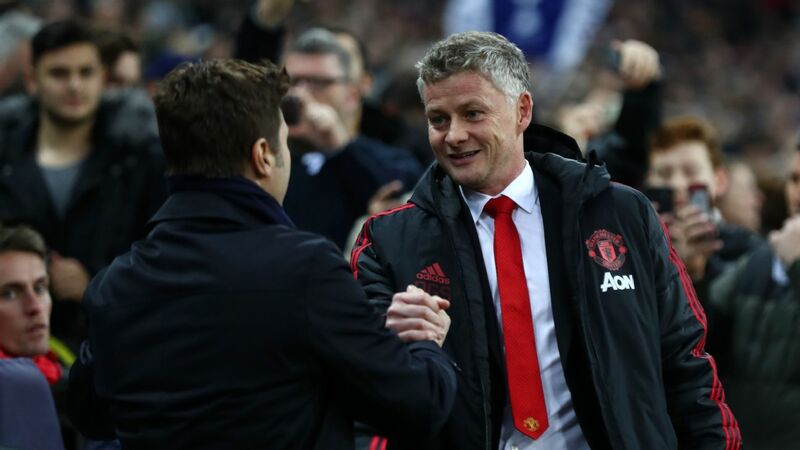 Since Mauricio Pochettino took charge in 2014, Tottenham have won more Premier League London derby games than any other side. They thrashed Chelsea 3-1 late on Saturday to climb over them to be 3rd in the league. With a 1-0 win over Valladolid on Sunday, Sevilla are sitting atop the table with 26 points in 13 games. This is fewest points for a La Liga leader at this stage in the 21st Century (level with Deportivo la Coruna in the 2001/2002 season; Super Depor finished that season 2nd).